Teri Shepherd has been a Certified Massage Therapist since 2001. 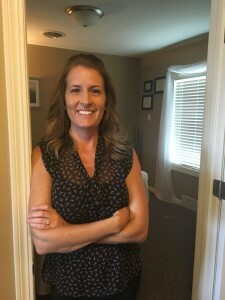 She graduated from Ivy Tech Community College with an Associate of Applied Science degree in Therapeutic Massage and has been a full-time therapist since then. A variety of techniques within a session may include relaxation massage, therapeutic massage, trigger point therapy, deep tissue, cupping therapy and aspects of reflexology. Teri is also trained in Hot Stone Massage, aromatherapy and prenatal massage. Teri is a member of Associated Bodywork & Massage Professionals and is certified to provide massage from the state of Indiana. Please call (260) 402-8748 to schedule. Online scheduling also available.